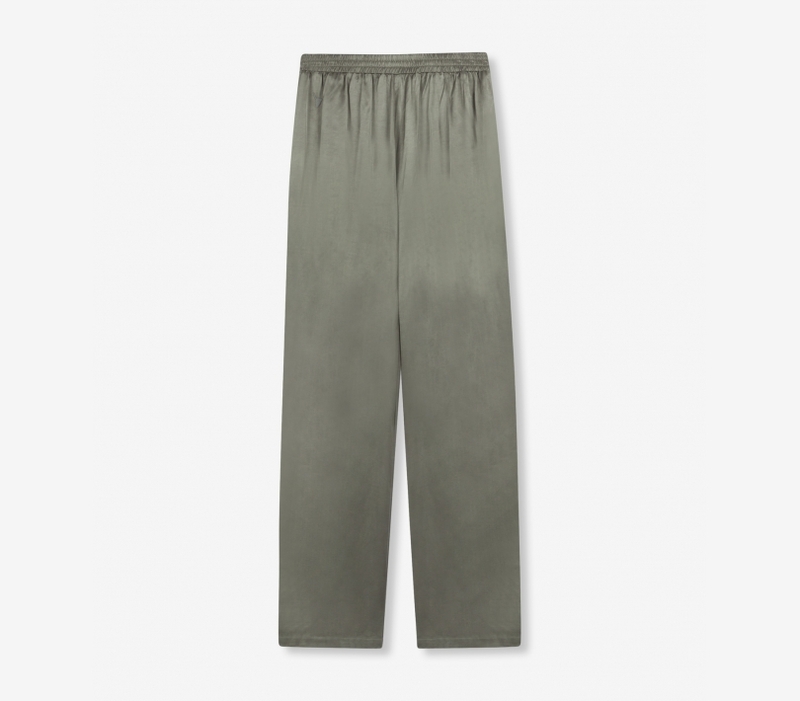 High waist, wide leg flowy pants cut from a rich and flowy satin viscose rayon. Elastic at the back waist for a comfortable fit. 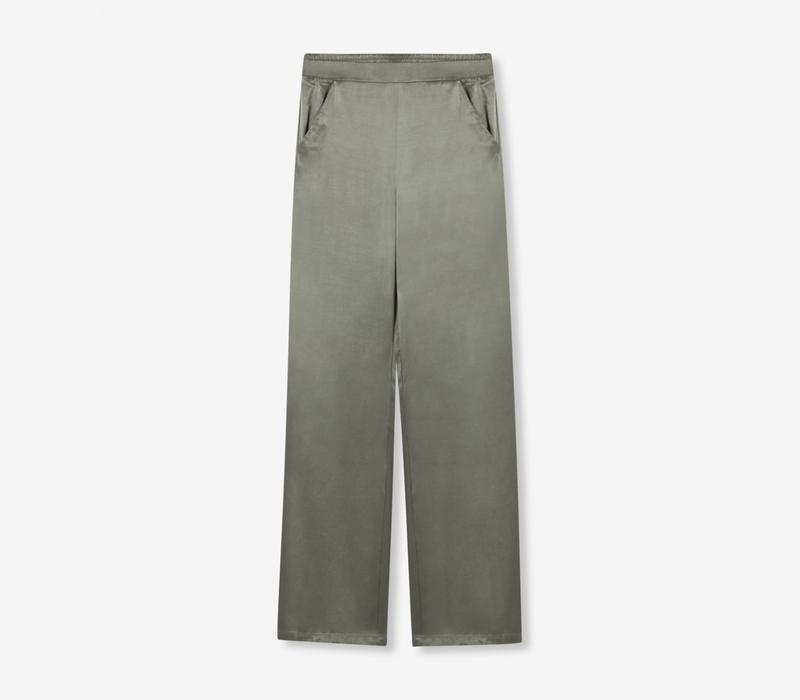 High waist, wide leg pants with an elasticated back waistband.